The BFC showcases the best of British fashion design to an international audience including press and buyers. 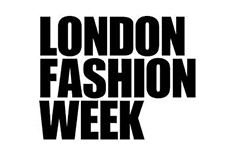 London Fashion Week (LFW), its biannual showcase of womenswear occurs every February and September. In 2015, the BFC announced their intention to move the 62nd LFW to Brewer Street NCP car park – a stunning Art Deco building in the heart of Soho. Spanning two floors of the Brewer Street Car Park, the new central LFW venue was to play host to some of the world’s most exciting designer catwalk shows and the Designer Showrooms. In addition, the venue would also be used for LFW guest registration, a photographers’ area and press, buyer and sponsor spaces. The challenge for EAS was to deliver a consistent and high standard of registration service regardless of the new location that is not purpose built for events. Having regular, in-depth meetings with the BFC to ensure that every possible eventuality had an agreed contingency plan. The 62nd LFW was delivered to critical acclaim, and the 63rd LFW returned to Brewer Street car park in February 2016. Each season thousands of fashion buyers, photographers, broadcast crew, bloggers and journalists, visit LFW and every single one goes through EAS’s Accredit System. The February 2016 London Fashion Week was the 20th LFW run through the EAS systems.